The borough of Manhattan is often the first place that crosses the mind when tourists think of New York City. The most celebrated of all the five boroughs, it has more landmarks, historic sites, museums and green spaces than you can possibility think of. In fact, it’s home to some of the big-ticket attractions and destinations NYC is known for such as the Empire State Building, Central Park, The Statue of Liberty, and The Metropolitan Museum of Art to name a few. Plus, the borough has plenty of bars, restaurants, concert halls, trendy boutiques and peaceful places. Most tourists don’t leave NYC unless they visit Manhattan which shows how much importance this borough holds for tourists. A 1,454-foot Art Deco skyscraper, the building is a proud symbol of American innovation and ambition since 1931. 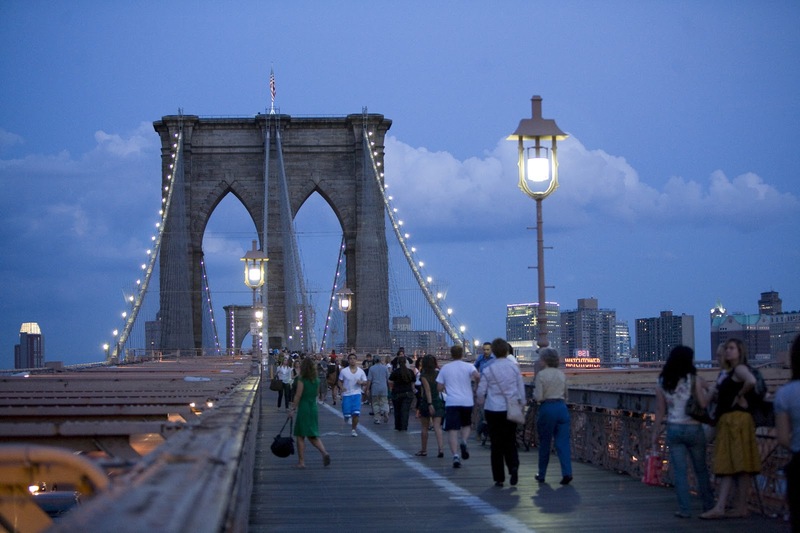 It’s one of the most visited attractions in NYC and forms the core of the city’s skyline. Tourists here can take an elevator ride to the observation deck on the 86th floor to get stunning city views. Visit the first landscaped park spanning 843-acres right in the heart of the city. For locals and tourists alike, it provides an ideal retreat from the city life courtesy of its scenic milieu and nature-filled charms. From zoos to museums, landmarks, playgrounds, free concerts, parks and a carousel, you can expect virtually everything that a celebrated park is supposed to offer. Plus, Central Park bike tours remain a big hit among visitors of all age groups. Lady Liberty best captures the history associated with the immigration that took place during the turn of the 20th century. A universal symbol of freedom and a gift from France on America’s 100th birthday, the 305-foot tall copper-plated statue stands tall and reminds everyone of the great heritage of the city. A beloved Manhattan institution since 1870, the museum is popular worldwide for artwork and their staggering scale and quality. Exhibiting art from across the world, you can see collections ranging from paintings (American and modern), sculptures (ancient Egyptian) and diverse arts (African, Byzantine, and Islamic). Although crowded on all days, you can reach early and explore the place with ease. It is without a doubt one of the most stunning skyscrapers in NYC. Experts consider it a zenith of Art Deco architecture for its architecture and design. During night-time, the triangle-shaped windows of the building, which are in its crown, glow and create a sort of unrivaled visual spectacle. The building symbolizes the sophistication and ambition New Yorkers are always associated with. Visit this place to know more about the events that once rocked the beautiful city of NYC. Once the iconic Twin Towers stood here before they were brought down by a terrorist strike on September 11, 2001. Now, man-made waterfalls exist with pools bearing the name of people who lost their lives during that fateful tragedy. A place where the best Broadway shows take place and where you can take photos with all types of people. Times Square is all about the lights, signboards, dazzle, glimmer and everything night-time stands for. It’s a hub of activity with bars, pubs and restaurants all around lending the city a unique touch. Plus, tourist-clogged shopping hubs are to be seen all around.